When you’ve lost a loved one, no amount of restitution or validation will make the pain and grief heal faster. Nothing will help you heal except for time. Over time, you will find a “new normal” and learn how to adjust to life with your loved one gone. Dealing with the loss is difficult enough, but if your loved one is deceased due to a preventable circumstance, this process can be even more painful. First and foremost, you need to take care of yourself and your loved ones. Seek professional, spiritual, or communal help for your loss. Friends and family will be there for you to lean on, and grieving with others can be cathartic. You may experience financial hardships as a result of this loss, as well. 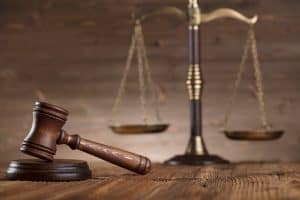 After you have appropriately tended to your present needs, however, you may elect to seek out compassionate and caring legal counsel from a Phoenix wrongful death attorney. If you are awarded damages, these will be monetary in nature, as wrongful death is a civil suit, not a criminal one. It’s in your best interest to consult a Phoenix wrongful death lawyer if you believe you might have a claim. Our team includes three Arizona Bar Board Certified Specialists in Personal Injury and Wrongful Death Litigation that represents honest clients with veritable claims. At Plattner Verderame, P.C., we do not charge our clients unless you win your case and are awarded damages. We only take cases on a contingency-fee basis, and will never ask for payment unless we obtain a verdict or settlement on your behalf. Call us at 602-783-8793, or contact us today to learn how our team of qualified and aggressive Phoenix wrongful death attorneys can help you.